When it comes to gift giving, I love the feeling I get from giving someone special in my life something they want and will use. 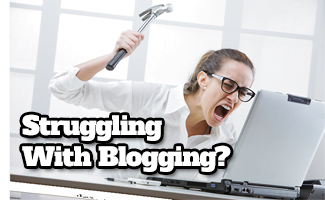 The problem I run into sometimes is that I get stumped. I figure the person I’m trying to buy for either has everything they want and need, or I second guess my ability to pick out a good gift. And to really put the pressure on, I’m almost always on a tight budget. 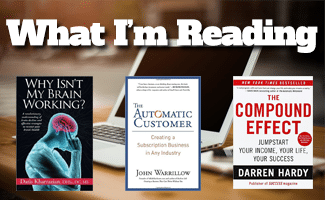 If this sounds similar to your situation, read on my friend, help is here. The first thing I did was start making lists of affordable gifts ahead of time in “genre”, which in turn takes some of the pressure of thinking through gifts on a time crunch. One of the hardest genres of gifts to buy for is those campers, hunters, hikers and preppers types. Gifts in those categories are either really expensive, or so cheap, you’re probably worried about being tacky. But don’t worry, like I said, help is here, and your brother, dad, uncle, buddy or husband won’t be without a great and affordable outdoor gift much longer . . .
Everyone needs a flashlight, whether they’re on outdoorsman or not. 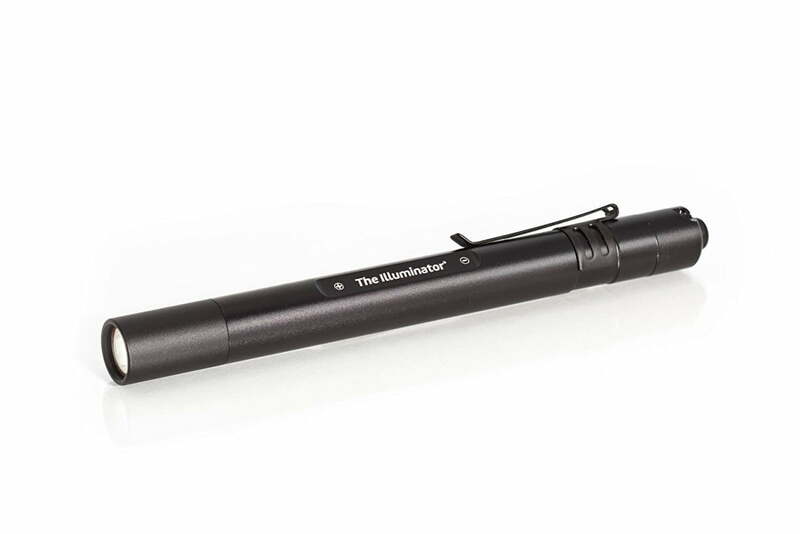 But the “Illuminator Pen Flashlight” is great for pants pocket and jacket carry in the outdoors because it has a low profile. 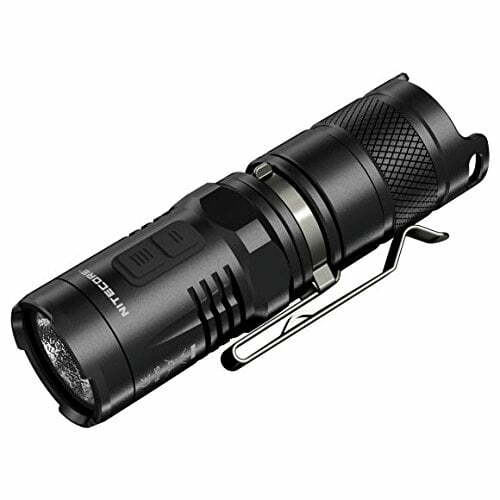 It gives an outstanding 180 lumens on 2 AAA batteries with a 3 hour constant run time. It’s 6” in length, 0.5” in width and weighs 1.3 oz. It has a water resistance rating of IPX4, which means if you splash water on it, it will be fine. As long as you’re not at risk for “falling in the drink” with this flashlight, it will serve you well. I really like the low profile width, opposed to most flashlights of similar lumen rating that are about the width of a roll of quarters. For the self-defense minded, this flashlight can also be used as an impact weapon if the need ever arises. I was turned to this flashlight by a co-worker of mine and thought it was pretty cool. There are more than a few guys I know who would like a flashlight like this one. Don’t forget about a good keychain LED light, like LRI’s Photon. LRI has many Photon LED colors, but I suggest looking into the Night Vision Green model. It protects your natural night vision with a “traffic light” green type light. Scientifically speaking green light is the least disruptive to Rhodopsin (which is a light sensitive receptor protein that your eyes need for good vision in the dark). Your body produces Rhodopsin while in the dark or while you have your eyes closed. It takes about an hour to produce enough Rhodopsin to give you your full night vision capability, so preserving night vision while outdoors in the dark is a big deal to me. Lights like this are a great inexpensive gift for the outdoor adventurer who needs to be able to still see after looking through his pack with the LRI Photon. The Photon also comes with a “covert nose” to keep the light focused at one point rather than all over like a lantern. The Photon has adjustable brightness, a replaceable lithium battery, and only weighs 1.6 oz. A gift like this is a “no-brainer”, it’s durable and the best part is that it won’t break the bank. The Outdoorsman cannot have too many multi-tools. 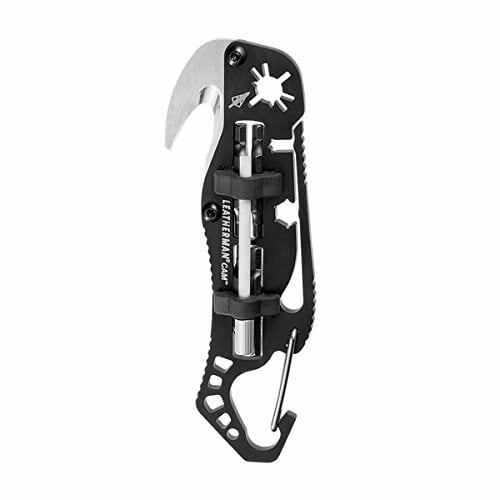 In fact, it’s nice to have a small backup multi-tool to shove in an easy access pocket of a backpack or even in your jacket. 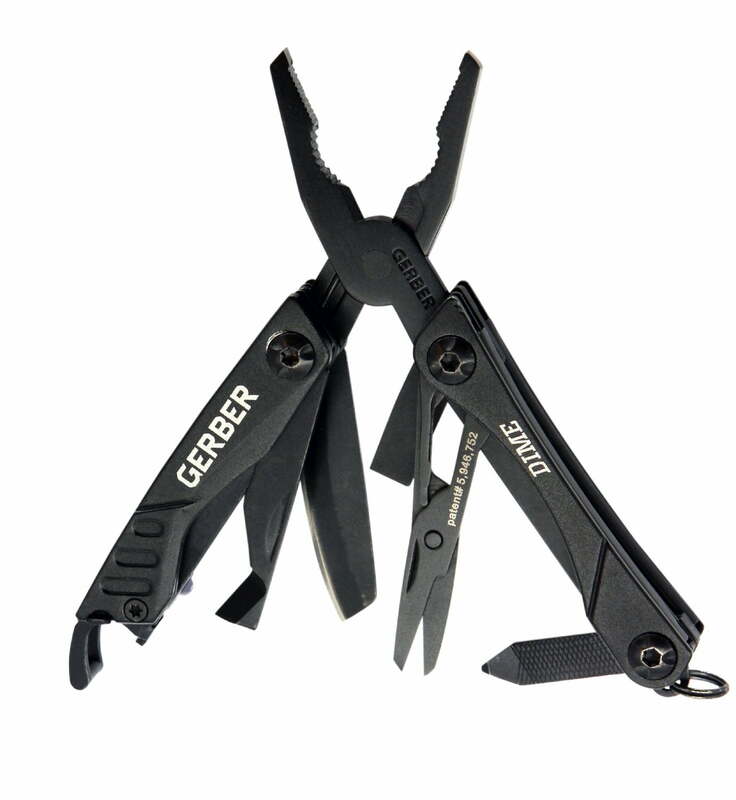 And what better pick for a backup multi-tool than the Gerber Dime? When the Dime is closed its 2.75” and weighs 2.2 oz. When it comes to gift giving, it fits on a key chain, is useful “as all get-out” and comes with the Gerber name so you end up getting a great warranty and excellent durability. Have you ever been on a camping trip where you were forced to cut paracord and other tent lines to length? Well you don’t have to do that with the Nite-Ize Figure 9 Rope Tightener. 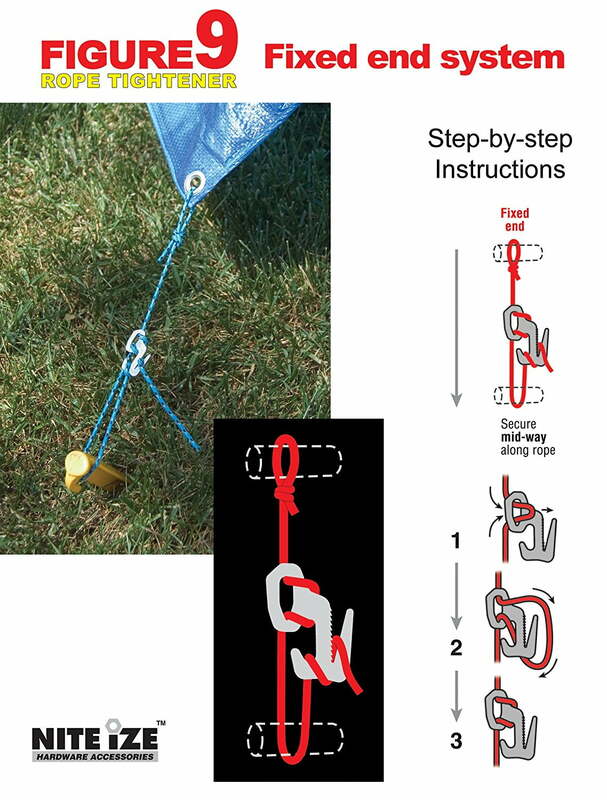 The Figure 9 Rope Tightener allows you to secure both ends of your cordage or tent tie-down to it and tighten it. When it’s time to leave or unsecure your tent, you just pull out the cordage from the friction lock and the tie-down comes apart. Take a look below. There are plastic versions of this useful tie-down tool, but I prefer the aluminum model pictured above. It’s strong and I don’t have any snapping concerns in sub-zero weather. I’ve used these with great success to secure a rainfly and lean-to shelter for years now. If the outdoor guy in your life doesn’t have these, he needs them. I get by with (6) Figure 9 tie-downs, but having a few more as spares is not a bad idea either. I’m most impressed with the amount of power you can torque out of this handy cordage pulley system. All my shelter lines that had Nite-Ize as the tie-down mechanism were very taut. These little guys do well as stocking stuffers or stand-alone gifts no matter the time of year. 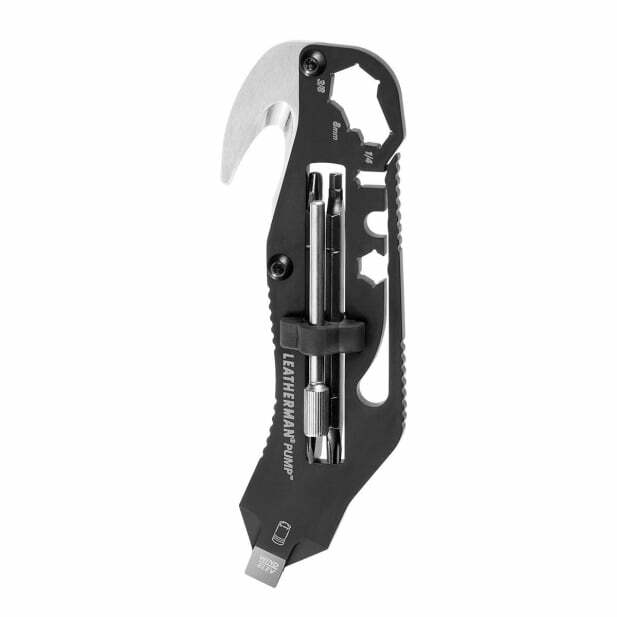 Whether you have an Archery hunter or Shotgun hunter in your family, Leatherman has a couple functional and affordable non-traditional multi-tools that will be sure to bring a grin to the face. 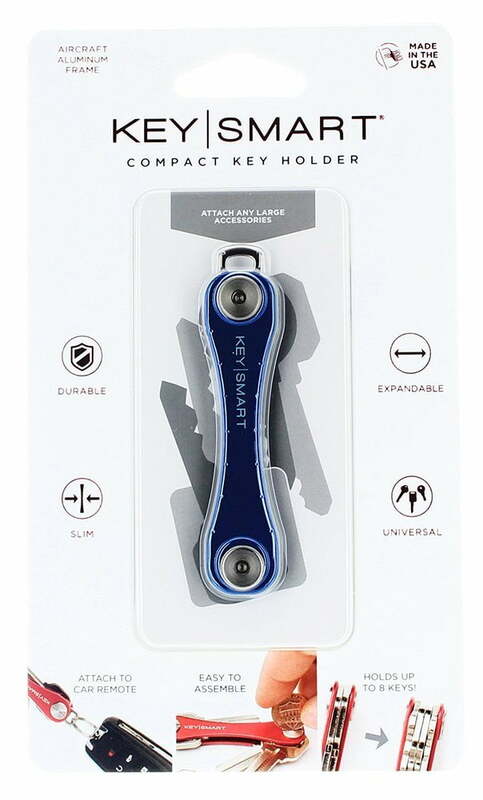 The “Cam” is meant for archery hunters and feat a gut hook for field dressing, broad-head wrench and sharpener, carabiner and several ¼” drive bits for archery maintenance. The “Pump” is meant for shotgun hunters and features the same gut hook as the “Cam”, as well as a different hex head wrenches, and ¼” driver bits. 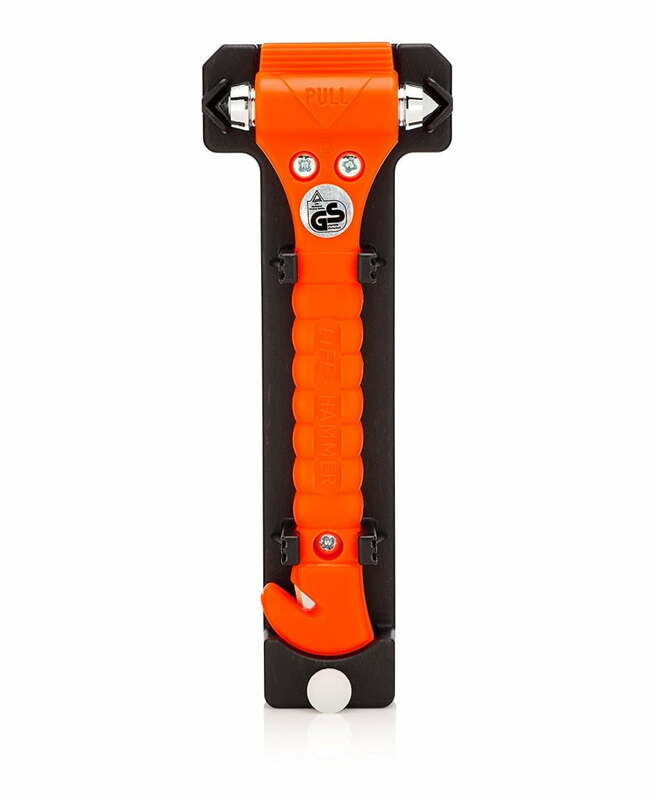 The “Pump” also has a choke tube wrench. 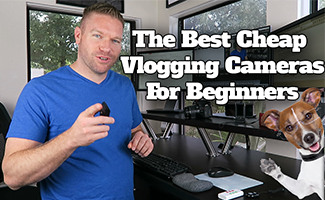 Both the “Cam” and “Pump” come with belt sheaths to keep it within arm’s reach when you need it, and as a bonus, it won’t get lost if it’s on your belt. You won’t have to worry if you’ve wasted your money when you buy your hunter one of these, it’s sure to be a winner. 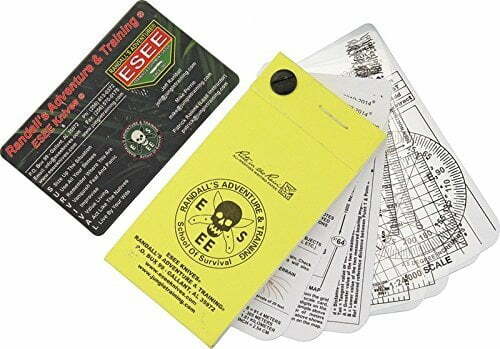 The ESEE Pocket Navigation / Survival Card set with Rite in Rain Notepad are an awesome gift! 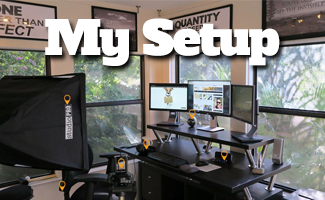 Holy-cow, I love having a compact set of land navigation tools for my outdoors kit. 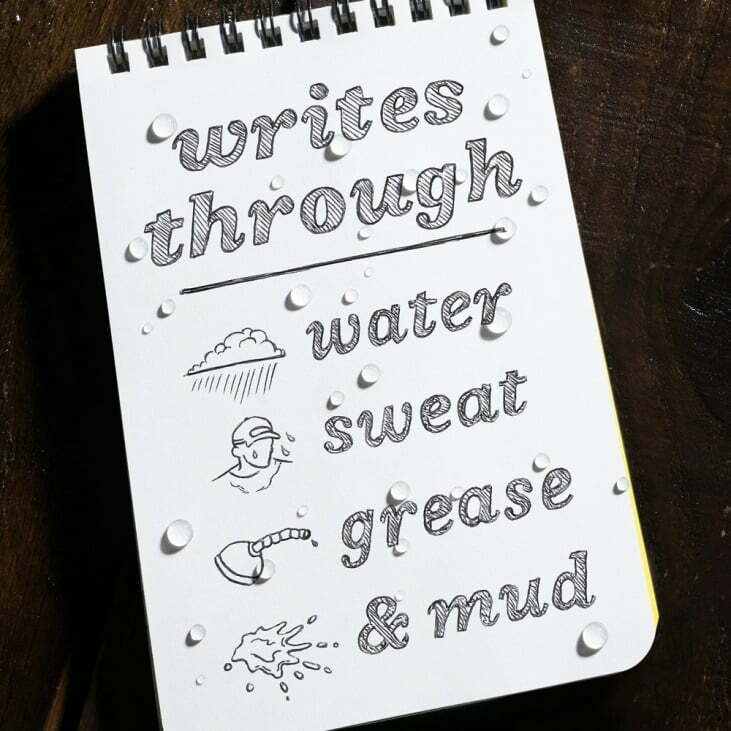 The paper in the notebook is water resistant as you would expect from Rite in the Rain, which is great, because hunters, hikers and campers spend time in wet weather just as much as they do sunny days. You get a full set of navigation tools like a compass protractor and reference cards that help you determine your pace count and keep track of your distance traveled over uneven terrain. It’s all bolted together so you won’t lose your items, but you can take each card off if you need it for separate use. All you need to do is add a compass, map and pen to this pocket navigation set and you’re ready to go. As a great companion to the ESEE Pocket Navigation Card Set, the Space Pen works very well with Rite in the Rain products. The Space pen has been around for a long time, and I’ve absolutely loved mine for many years. You don’t have to worry about which angle you write at, or whether your notepad has water or grime on it, it just writes. 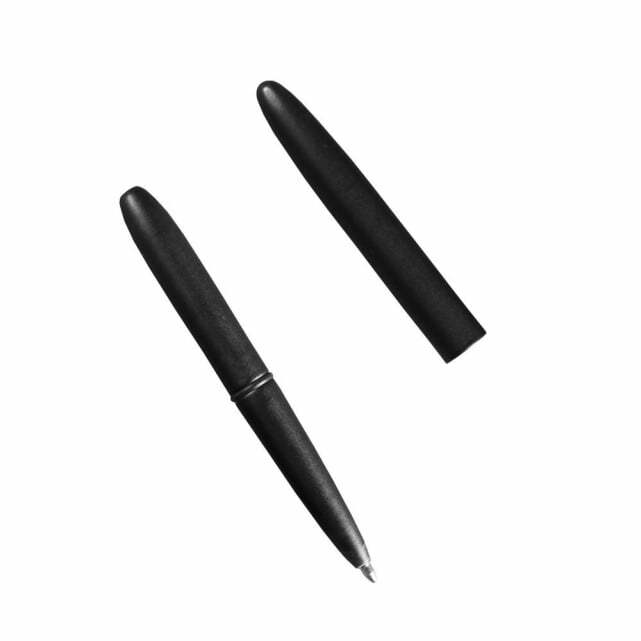 The Space Pen is very compact, at 5” and writes from -30F to 250F. I’ve had normal pens quit working right around 32F. So if you’re outdoorsman does a lot of winter activities, this pen would be a great addition for his compact journal or notepad. One of the bigger selling points on the Space Pen is that it’s affordable, coming in under $25 for the base model. Some outdoor items you should spend a little more on, but your pen is not one of them. If you’re buying a gift for an outdoorsman and you yourself are not that type, the question might be “you want me to buy rope as a gift”? This isn’t just any cord, its parachute cord. You can see from the picture, inside the main strand are 7 smaller strands of cord. In a pinch you can remove the inner strands of cord for other uses and still use and return the outer shell back to its original use. Giving paracord to a prepper or survivalist is quite possibly the equivalent of giving flowers to one’s wife . . . seriously. I like having several 50 to 100 ft. bundles of paracord in my outdoor pack, “just because”. 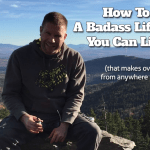 Not to mention there are plenty of paracord projects that can be done to further one’s outdoor “coolness” and utility, like wrapping tool handles and knives in cordage. 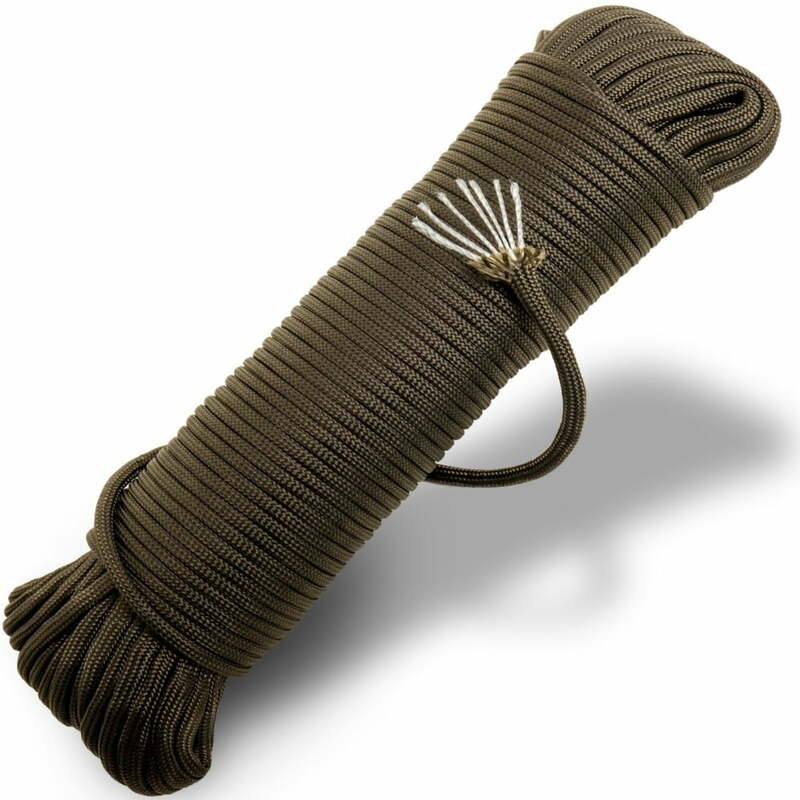 I’ve also seen some pretty nifty slings for rifles and water canteens made from paracord. If you’re really drawing a blank for an add-on gift or a stand-alone inexpensive gift, 100 ft. lengths of paracord are not a bad choice. Batteries as a gift may seem pretty tacky, but nothing says “I get you” like buying the right type of batteries for that hiker, camper or hunter. The trick with this gift is that you’ll have to do a little homework and find out what electronics he uses in the field. Most guys either have a handheld GPS, flashlight, compact lantern, handheld radio, trail-cam, FRS/GMRS radios, electronic hunting decoys, or head lamps. The most common types of batteries are obviously the AA, AAA, C, and D size. But don’t forget about specialized optics batteries like the C2032. After you’ve done your homework by figuring out what batteries your hunter uses the most, here’s how you deliver it: When they open up that blister pack of 48 AA batteries and chuckle and thank you, you can say something like “There, now you can stop complaining that there’s never any batteries for your trail-cam up at the cabin”. Okay, maybe you shouldn’t say that, but don’t pass over a good pack of batteries as a gift for the outdoorsman just because they’re inexpensive. We use them all the time, and we can never have enough of them. One year for Christmas I received from my wife’s cousin, the biggest box of hand warmers. And you want to know what? That was an awesome gift. I have that box of hand warmers next to all my outdoor gear, and as I’m packing for an event, I reach in, grab what I need, and I’m good to go. 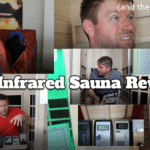 For deer hunters, duck hunters and all sorts of winter sports guys, we love these things. 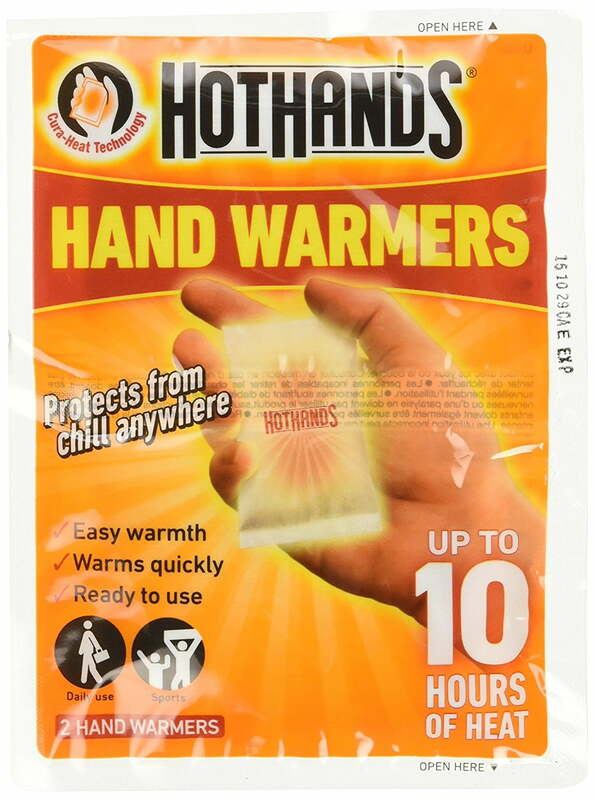 I’ve used these as body warmers, hand warmers and I’ve even heated up my sleeping bag during winter camping. 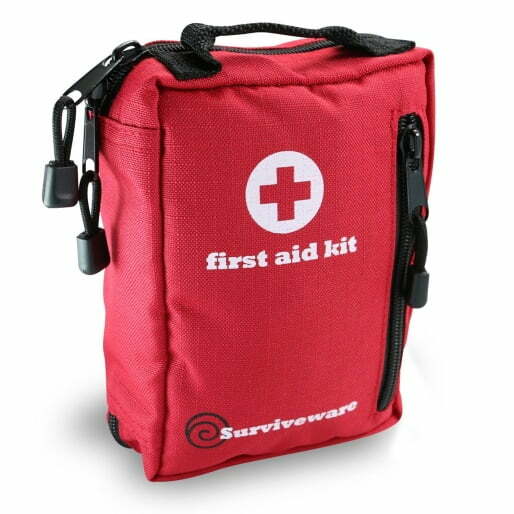 One can even put these in a first-aid kit to help treat victims of mild hypothermia. I keep lots of paracord in my pack and lots of hand warmers. 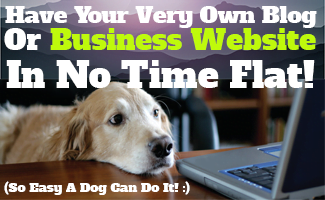 They weigh practically nothing and are super useful up to 10 hours, (some for even longer). Foot warmers are also really good idea as well. I like to use these when winter camping, first thing in the morning when I’m getting into my boots and building a fire to warm up. They really work well for hunting stands too. When you’re 20’ up in the air hunting deer in November with a 10 mph wind, you’d be happy to have a pair of foot warmers under your toes. This is another “you can’t go wrong buying this” type of gift. 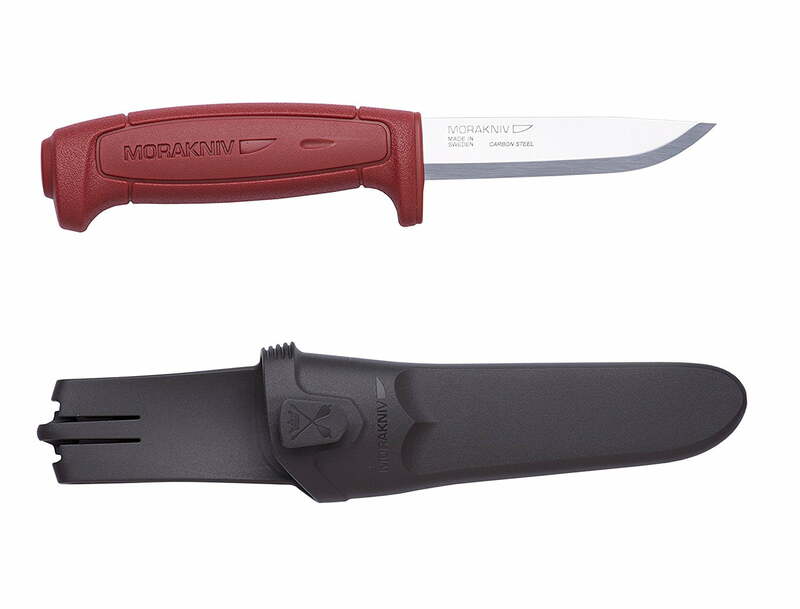 The Mora Knife is probably one of the most commonly found knives amongst survivalists, hikers, hunters, fisherman and preppers . . . but why? It’s incredibly light weight at 3.9 oz. It’s compact at 8.25” and they are incredibly sharp with a thin blade, 0.08”. The carbon steel blade is surprisingly durable. Here’s the other part, you can almost always find a basic more knife for under $20. Here’s a little something that you may not know if you’re not a real “outdoorsy” type person: The knife that gets used the most is the one that’s durable and that the user isn’t worried about “beating up”. This knife is definitely durable, and you won’t be afraid to beat it up a bit, because the Mora Knife is inexpensive enough to easily replace. This knife should be on the top of your gift giving list. If giving paracord, batteries or a knife is not your cup of tea, this is a sure fire gift for an outdoorsman. The Key Smart is a management system for your daily use keys. When not in use your keys fold away, so that you don’t have a jingling, clanking mess, but instead you have a pocket knife like accessory. When you want to use one of your keys you simply fold it out like you would the blade of a jack-knife. Why is this good for hunters and fishers? Jingling keys make noise, even when they’re in pants pockets, but the Key Smart is an effective way to stop that noise and keep from scaring away game. For the utility one gets from a Key Smart key management system $25 is a decent price. You should feel proud of your gift if you give that hunter a Key Smart. 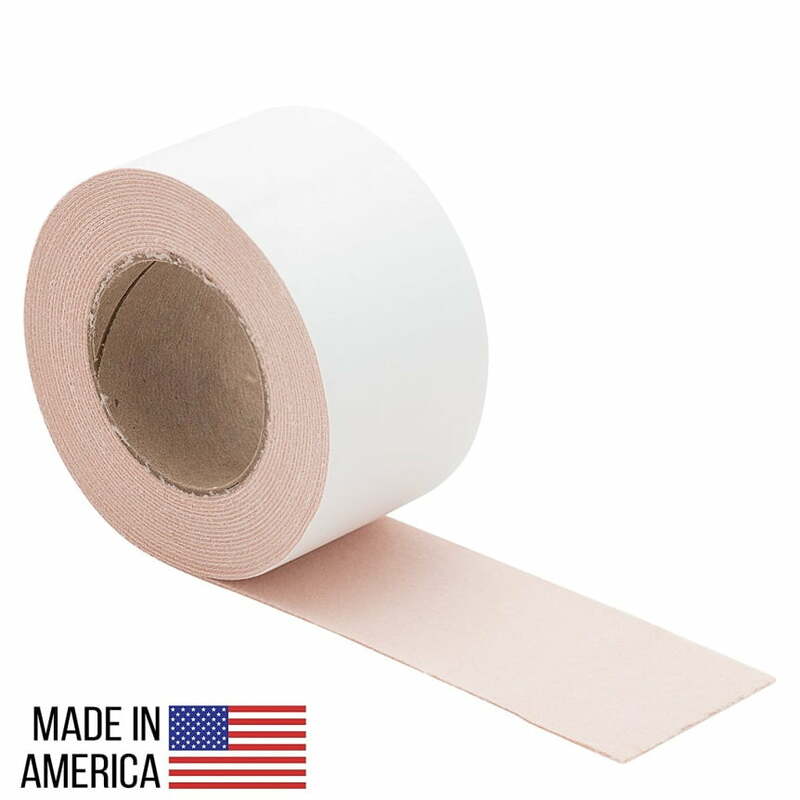 “Mole-skin” is a type of friction reducing tape that people who are hard on their feet use to keep from getting blisters and foot infections. If you have a hiker in your life, this would be a great stocking stuffer or add-on gift. I’ve been long hikes with 100 lbs. of gear on, only to start feeling a “hot-spot” developing in the boots being worn. 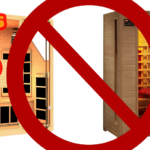 That’ “hot-spot” is a warning that needs attention. Enter sweet rescue from your roll of mole-skin. Moleskin has a soft friction reducing side that faces away from one’s skin, and an appropriately tacky adhesive side to stick to one’s foot. The mole-skin takes all the friction abuse in your boot, while leaving your feet healthy and non-blistered. All it takes is to be saved on a long hike by this useful product one time and you’ll never be without it again. So rest assured if you have in your life a camper, hiker or hunter that covers some distance in the wilderness, they’ll be real pleased with this inexpensive gift. 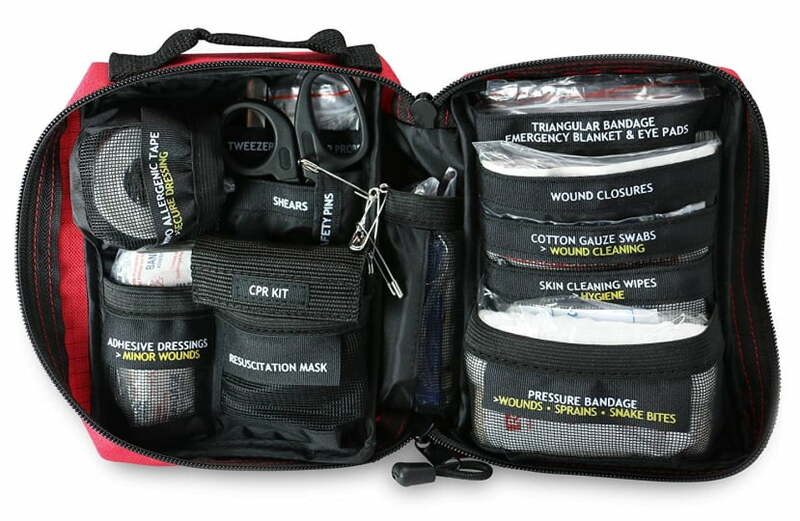 While this isn’t the most expensive kit out there, it covers a broad spectrum of first-aid situations that may arise for the outdoorsman. Silicone or “rescue tape” as it’s called in some circles is second only to Duct Tape as a utilitarian tool. What’s nice about silicone repair tape is that it fuses to itself when wrapping whatever you’re repairing to form a water-tight, air-tight seal. Not only can you wrap tool handles with this tape to form a better gripping surface in wet environments, but you can also fix a coolant leak on your truck or ATV in minutes, which will last long enough to get one back to civilization. 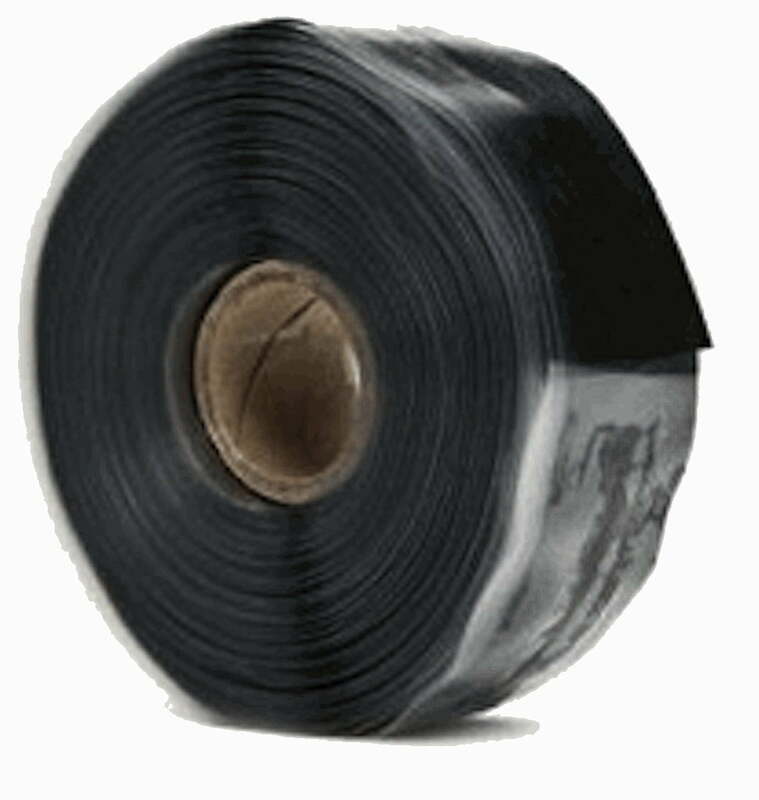 Do that outdoorsman a favor and get him a few rolls of this tape for his outdoor emergency repairs. This is a gift that he’ll thank you for one day when he least expects to use it. This is a great stocking stuffer idea for the holidays, and more often than not, you can get a deal if you buy 6 or more rolls in bulk. The Nightcore MT10C is one of the most useful little flash lights I’ve ever had. I would expect to pay $200 for this light if it were made by Surefire. Every outdoorsman needs a “go to” hand-held flashlight, and this is the one it should be. As you can see from the pictured chart, you get impressive run-times given the light setting you choose with either a rechargeable battery or my go to CR123 battery. I like that this light also come with a low intensity red led for times when preserving your night vision but seeing what you’re doing is crucial. This light is tough enough for repeated drops on the concreate, (ask me how I know), and water resistant enough to stay functional if you fall in a pond, up to 2 meters deep. At 1” in diameter and 3” in length, this is not only a great option for EDC, (ever day carry), but it’s great to throw in a cargo pocket for guys headed into hunting camp. Another nice feature of this light is that you can check the voltage left in the battery, indicated by a series of blinks on the red LED bulb. I like that you can choose to use a rechargeable battery or go with standard CR123 batteries, but with the CR123 you only get 480 lumens. Only, right? 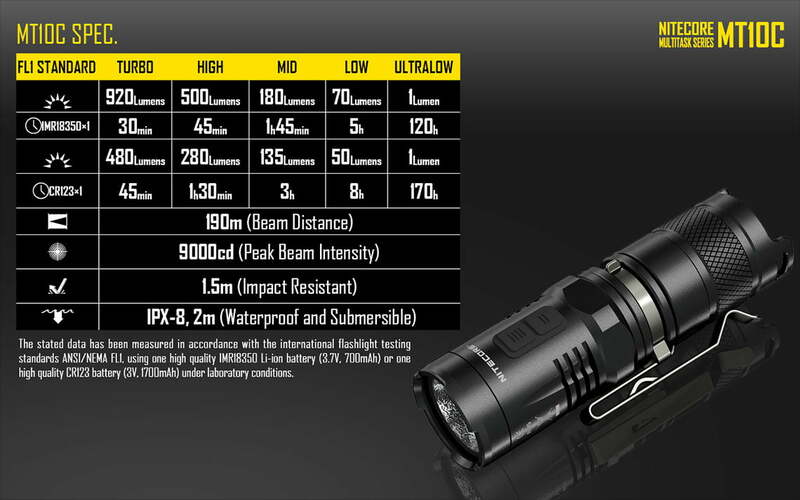 With the rechargeable you can get up to 920 lumens, which is incredible. I’ve found that 480 lumens will definitely light up most an open field and let you see clear across it in pitch black darkness. This light is compact, full of generous run time, and packed with all sorts of features you’ll only see on much more expensive lights. 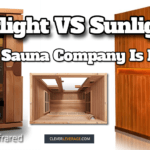 For under $60, this is a top-shelf, but inexpensive light for any outdoorsman. 160 lumen output. CONSTANT LIGHTING technology ensures brightness that does not gradually decrease as the battery drains. Headlamp is stable on the head: adjustable headband with top strap for technical activities. Easy to use push button operation, even with gloves on. 3 AAA/LR03 batteries (included), compatible with rechargeable Ni-MH and lithium. Water tightness: IP X4, weather resistant. There are tasks that the outdoorsman just cannot do in low light if he doesn’t have both his hands free, so it’s really important to have both a headlamp and a hand-held flashlight. I keep my Petzl headlamp in my breast pocket of my jacket or shirt, so no matter where I’m at when it gets dark, I’m ready to light the way. I love heading out into the wilderness for a day of hiking and “plinking” with my rifle and pack slung over my shoulder, only to find out that I forgot dropped my ear plugs along the way. 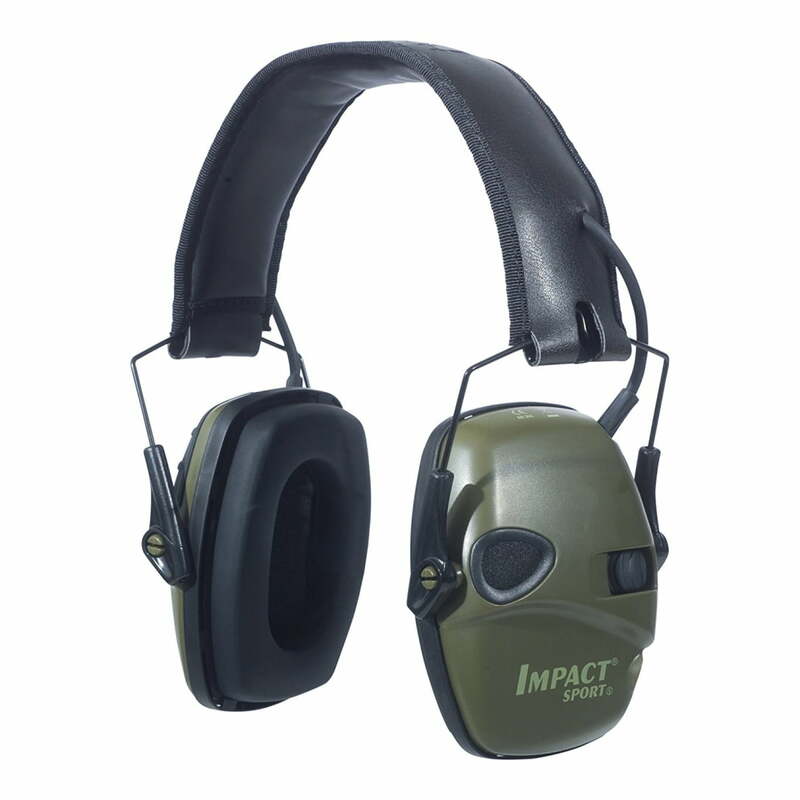 A better option, that’s a lot less likely to lose are “shooting muffs” like these Howard Leight Electronic Earmuffs. I’ve had mine for a couple years now, and not only do they provide excellent hearing protection, even around high power rifles, but they amplify noises in the woods when you’re not shooting. This is a great gift for any firearm enthusiast, not just hunters. What I love about this product is that with the amplifier turned on, you can carry on a normal conversation while others are zeroing their rifles before opening day of deer season without having to shout to hear each other. The Howard Leight Electronic Earmuffs are calibrated to cut out any noise over a certain decibel level, but allow normal level sounds to be heard without interference. 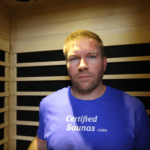 There are really expensive electronic earmuffs on the market, but with these, you get a great product at an affordable price, there’s really no need to spend more. Every outdoorsman needs a utility tomahawk like the Cold Steel Trail Hawk. From clearing brush to hammering in tent stakes, this is a really useful tool to have out in the wilderness. The Trail Hawk only weighs about 22 oz. and is roughly 22” in length. 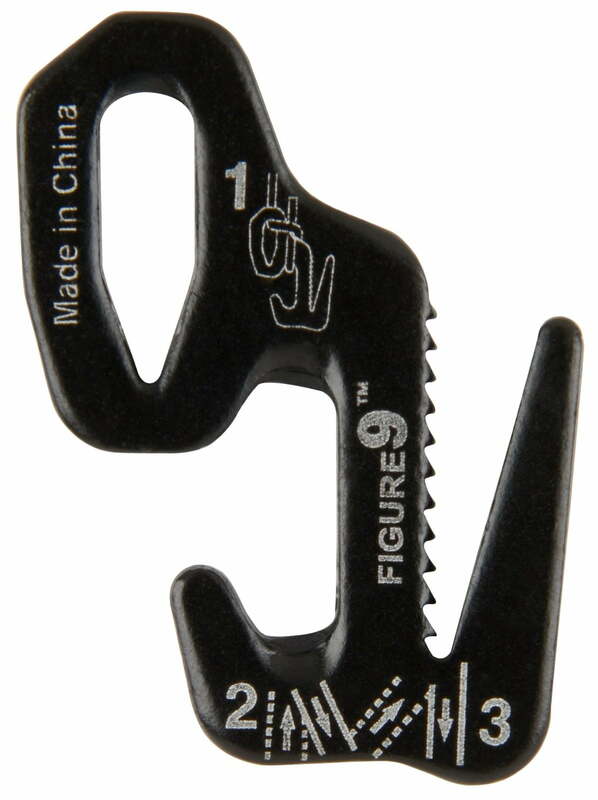 The product dimensions allow this tool to be attached very easily to the side of a pack for hikers and hunters. I wrap the handle of mine with paracord, but silicone rescue tape would work as well. Regardless of how the outdoorsman in your life decides to personalize this gift, he’ll be sure to fall in love with this one when he un-wraps it. It’s important to note that this filter does not remove waterborne viruses. 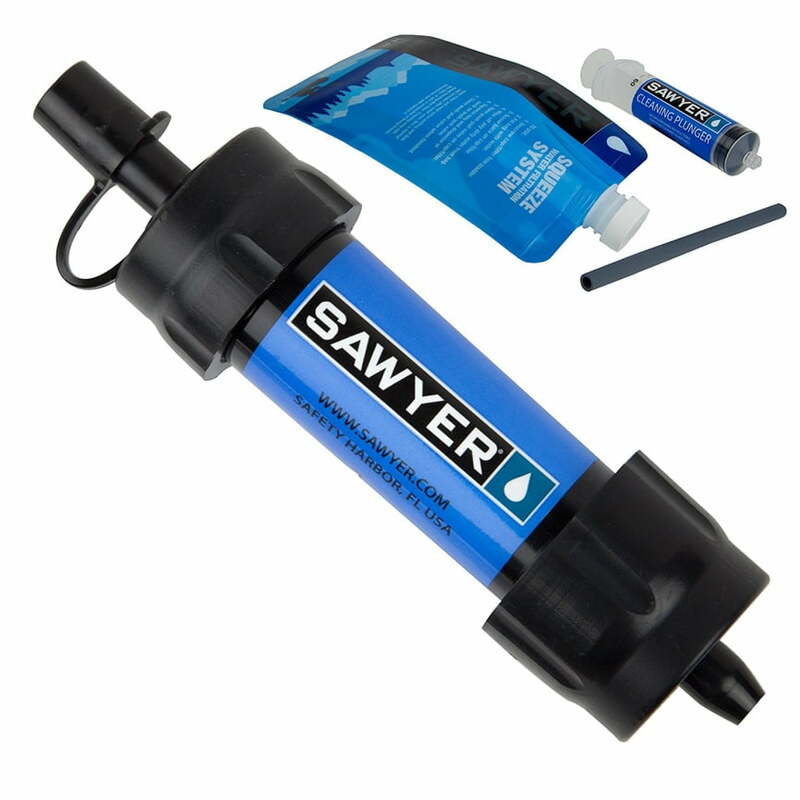 I use a combination of this filter and stabilized oxygen drops to purify water against viruses. 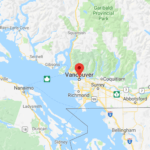 It’s also important to note, that it’s much more common for an outdoorsman to get sick from drinking water in the wilderness that contains bacteria, salmonella, cholera, E. coli and protozoa than any of the four waterborne viruses in North America. So this filter will take care of most everything that will get someone sick from drinking bad water. This gift idea is an excellent value and everyone should have one. 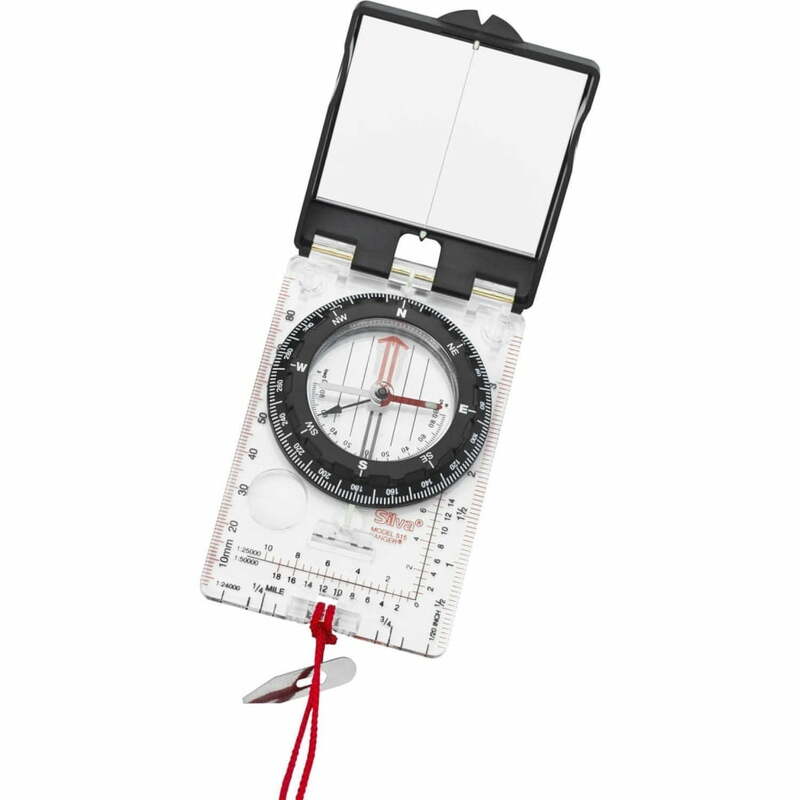 You don’t have to be a land navigation expert to pick this compass as a great gift; we’ve done the research for you. First of all, Silva is a reputable compass manufacturer, so you can rest assured that for under $50 you’re getting an accurate and durable product. Declination adjustment and tool for adjustment of varying degrees of magnetic declination around the world. Basically this compass has a bunch of useful features for those who either want to learn land navigation or already know what they’re doing. I love that it not only handles declination adjustments, but it also has common map scales for measuring distance on maps. I have several compasses, this is one of them, and it’s affordable so take this as a strong recommendation: The Silva Ranger is a great gift for the outdoorsman in your life. Maybe the guy you’re buying an outdoor gift doesn’t need a full compass or already has one. 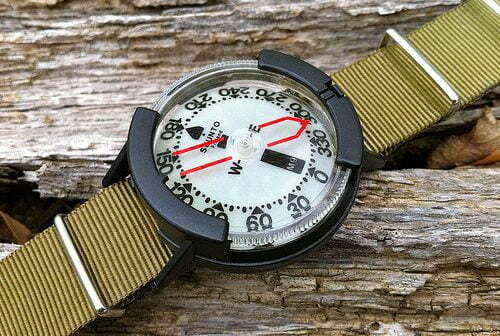 But you may consider picking up this Suunto Wrist Compass. One of the survival instructors I worked for had one of these and it worked very well. One of the considerations when relying on a wrist compass is that generally they’re not as accurate in taking readings because they’re smaller and do not have as much of a detailed dial, but this one does a fairly decent job. I borrowed this wrist compass from a friend on a map course and it kept me on my azimuth much better than my Cammenga wrist compass (which is still a good one). What allows you to stay on a chosen path of travel over some other wrist compasses is that this one has a rotating bezel with arrow to keep you on track instead of trying to read the compass numbers while you’re moving. 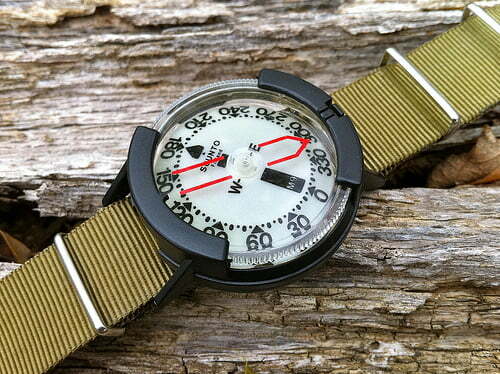 The compass itself is only a couple ounces and comes with a strong wrist band and buckle. 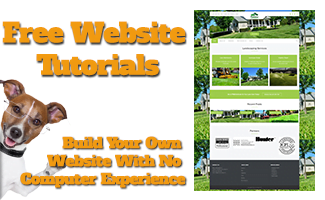 This is another affordable, well-built gift for your hiker, hunter or fisherman, but especially if you want them to find their way back from the wild at some point. This gift idea is a must have for anyone that has an off-road vehicle used for getting to that back woods fishing hole or hunting spot. What happens if the vehicle goes into the water or gets turned on its side and you’re stuck in your seatbelt? A tool like this can help you cut away your seat belt and break out windows in the vehicle. I used to hunt at a camp that had many acres of land. The hunters all had older 4-wheel drive vehicles for storage in the pole barn, so that we could drive to our favorite spot. It sure was nice, but one thing I noticed is that some of the areas we drove over were very close to deep swamps, rivers and uneven terrain. It would have been nice to have one of these in each of the vehicles just in case. 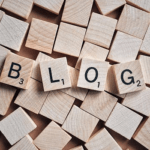 Few people think about getting undone from a stuck seatbelt when a vehicle is on its side and filling up with water, or they think they’ll be able to get to their jack-knife. 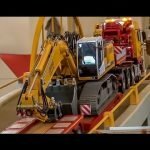 But if they have a tool like this mounted in a spot where all the passengers can get to it, they’ll be covered in an emergency situation. 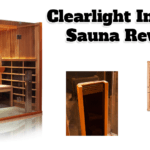 This is another no-brainer, great, but inexpensive gift that gives both the giver and the recipient peace of mind. If you’ve ever been out in the rain, sleet and snow for any longer than a couple hours, you know the value in having dry items to access in your day pack. What makes that possible is a good set of “dry-bags” like the ones that Outdoor Products produces. Like the ones pictured above, I like having a variable set of dry bags. 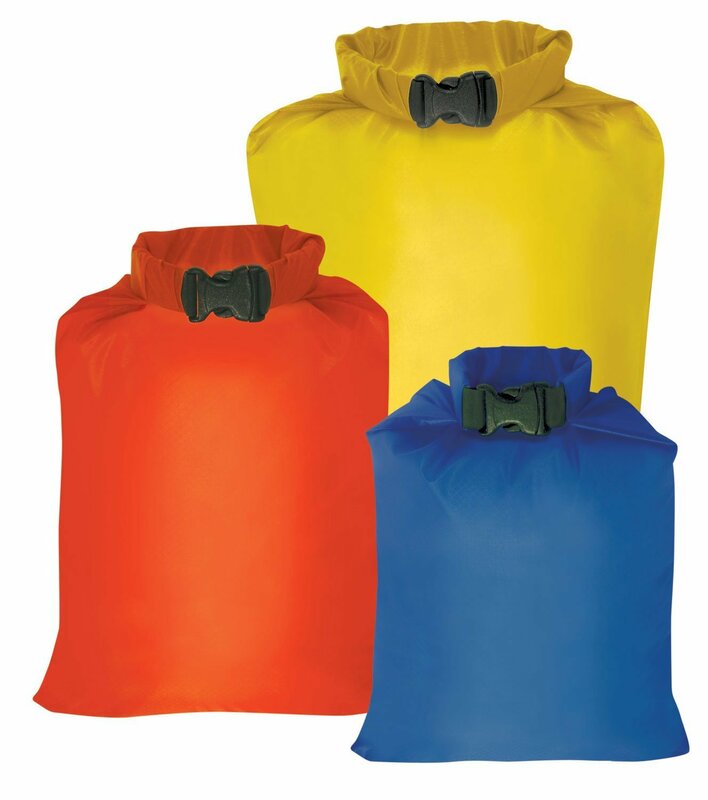 Outdoor Products makes a 3 pack for under $20 with features a 2, 4 and 8 liter bag. The manufacturer has noted that these bags are not for full submersion, but I have for brief periods when doing water crossing with a pack and have done it with complete dry contents. Your mileage may vary. Regardless, everyone that sets foot outdoors can use a set of dry bags, and these ones don’t break the bank. 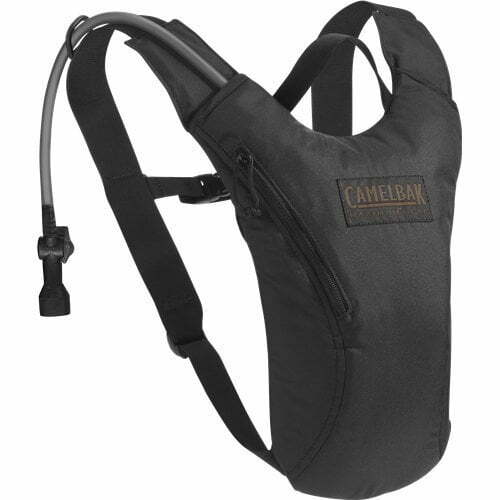 I’ve used both high-end hydration bladders and knock-off, bust the first time hydration bladders and the still the best of the bunch is the Camelbak brand. Some of the Camelbak models can get pretty pricey though, but the Camelbak 50 oz. Hydrobak is affordable for most people at under $50. 50 oz. of water will last a day for most people who aren’t doing extreme physical exertion in hot weather. What I was always impressed with is the fact that you could have one in your 80 lb. pack, drop the pack on the ground, bladder first and it wouldn’t burst. It’s no doubt that Camelbak was awarded so many military contracts. The hose connections are bomb-proof, the bite-valves last a long time, and the fabric that holds the bladder doesn’t easily fray or split. With a more low profile hydration bladder like this, you can keep it from freezing in sub-zero weather by putting it on underneath your jacket. Nothing’s worse than hiking in the winter and finding out that your drinking tube has frozen solid. So whether your outdoorsman is fishing in summer, or snowshoeing in the dead of January, he’ll find the Camelbak Hydrobak to be very useful. So Which Gift Will You Go With? 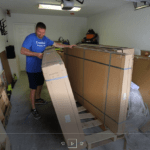 The good thing about the list of gifts we’ve provided is that the outdoors guy that you give to is that no matter what you choose; he’ll probably find it very useful. As we’ve shown, just because you find a really cool gift for that hunter or hiker, it doesn’t mean you have to go broke buying it. We hope you’ve enjoyed all the options for inexpensive but useful gifts for outdoors men.